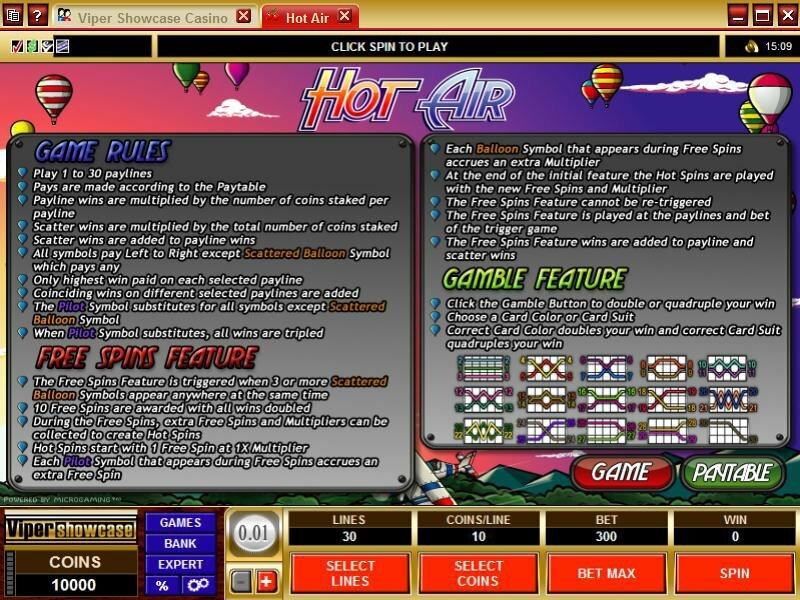 Overview: The latest video slot at the casino is sure to raise your expectations when it comes to rewards and sky high entertainment - it's a big, high flying, 5 reel 30 pay-line game we've dubbed HOT AIR. 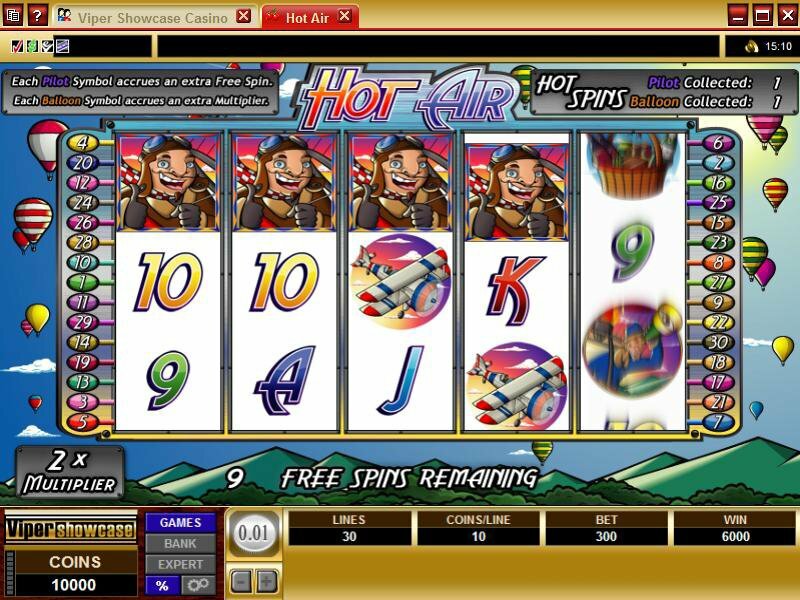 When 3 or more balloons appear simultaneously this triggers a reward of 10 Free Spins in which all wins are doubled. 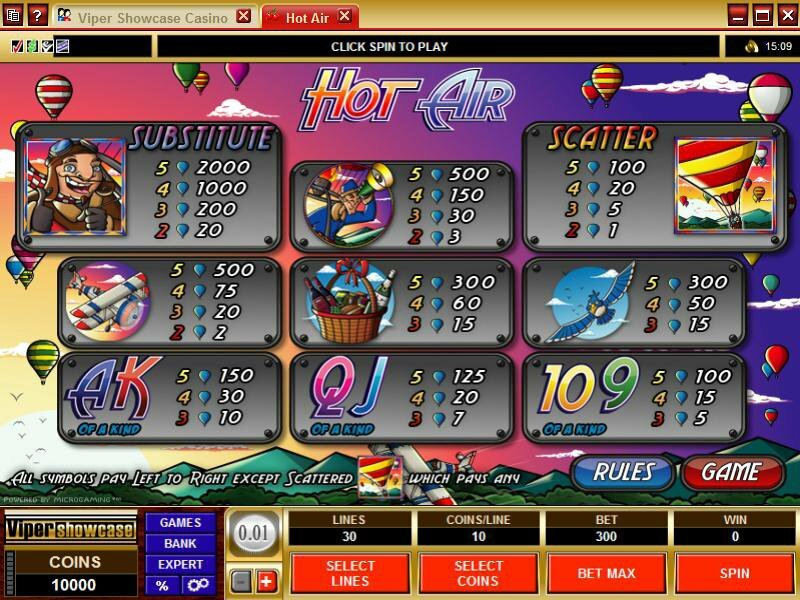 But that's not all - a lucky player may trigger up to 50 Hot Spins with multipliers, which are played at the end of the Free Spin cycle.And for each balloon symbol that appears during the free spin cycle, there's an additional multiplier. 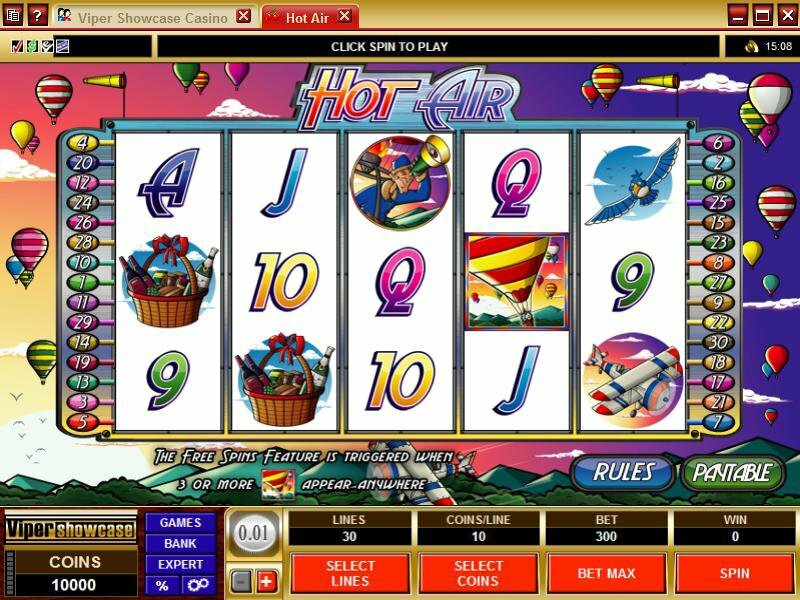 Similar Slots: If you like Hot Air, you might like these other 5-reel slot machines: Alley Cats, Beach Babes, Carnaval, Rainbows End, Scoop the Cash, Snow Honeys.